I lost a lot of time yesterday thanks to tracking down an alligator in an import utility. There was one itsy-bitsy little function that wreaked big havoc, thanks to a confused gator that didn’t know which way to look. The import utility was developed by a guy with a masters degree in computer science, so it just goes to show you that no amount of expertise can prevent such an error (or, quite possibly in this case, a typo). It was an easy fix, of course, but fixing all the data that had been incorrectly imported in the past took a bit longer. It cost me a few hours, but that’s better than causing a credit crisis. Either way, it reinforced in my mind the idea that we could use some unit testing around here. 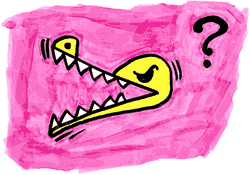 Sure, it might take a little extra time to write the tests, but probably less than the amount of time I spent hunting down the pesky little gator and fixing the mess it left in its wake. Hear Hear! Unit testing is a must. Somehow I’m just not on that bandwagon. Every time I try to hop onto it I can’t find a foothold. I don’t quite know what I’m not getting, but I think that I’m going to need to get someone who _is_ up to speed on unit testing for web dev to show me.